Basket buttons were a popular 18th century style of thread or "Dorset" button. 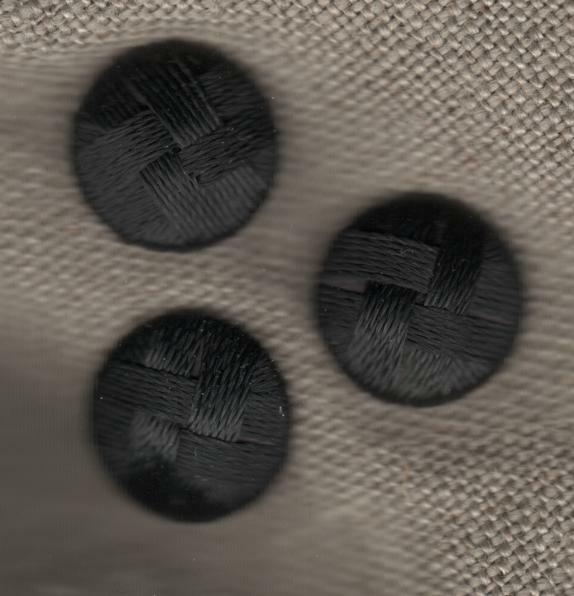 These buttons are a perfect size for a man's waistcoat and are made of silk over a pasteboard button mold. It is best to cover buttons in foil before dry cleaning. In The Virginia Gazette of 1771, "RAN away . . . an English indented servant man . . . and is a button maker by trade . . . He had on and took with him a suit of mixed grey broad cloth, trimmed with basket buttons".